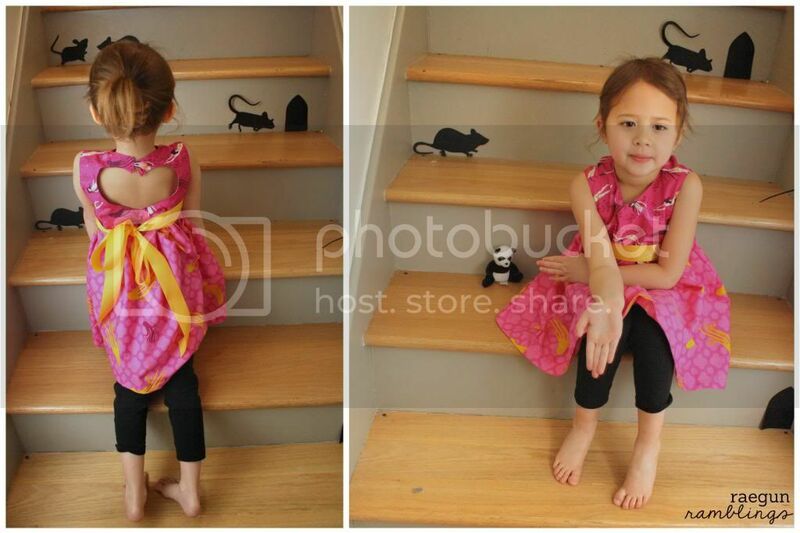 I cannot say enough great things about Shannon from Very Shannon’s Sweetheart Dress Pattern. It is amazing. I can honestly say I have never in my life used a pattern as good as this one. I was seriously impressed. First off the sizing is right. Normally when I use a pattern I have to spend tons of time editing the pattern to actually fit or spend my time after to take the garment in. For the most part I use patterns more like inspiration than you know a pattern but this one I could actually use as written. Second it was SO easy to follow. Most of the time with patterns it takes some staring to decipher or I decide the way they want me to do it is dumb and do it my own way. The heart part was a tiny bit complicated but Shannon explains it so well that it took no time. Finally I am totally in love with how the sweetheart dresses turned out. I made two of them one for each niece and it took me 3.5 hours from start to finish, including cutting fabric, reading and understanding directions and sewing. I’d say that’s pretty fabulous. I did make one tiny change. Instead of doing a floss button loop I used elastic cording. If you want to do the same you’ll want to make sure to add a loop of cording after the step when you sew around the heart. First I unpicked a little space in the flap. I measured a piece of cording that would extend enough to loop over a button. Then I stuck it in the hole leaving cording extended over the edge and the loop facing inward. Then I sewed up and down and zig zagged. Basically over and over to make sure it holds. Then I continued on with the pattern. If you have been considering buying this pattern I highly recommend it. And it’s definitely worth just buying it instead of trying to figure it out. It’s pretty different than how I thought it was before I read through and it’s WAY easier than I would have done if I tried to figure it out. I’m bummed that T was sick the day I finished these and took pictures but she loves hers too. Here are some of my favorite outtakes with L because we all know how ‘easy’ it is to get a good picture of your creation on a 4 year old. I love this dress and have seriously wanted to buy it for awhile now! That is such a cute dress. i have two nieces I can make them for now. Cute dress! I love the heart in the back! Darling! I love this dress pattern. How adorable! 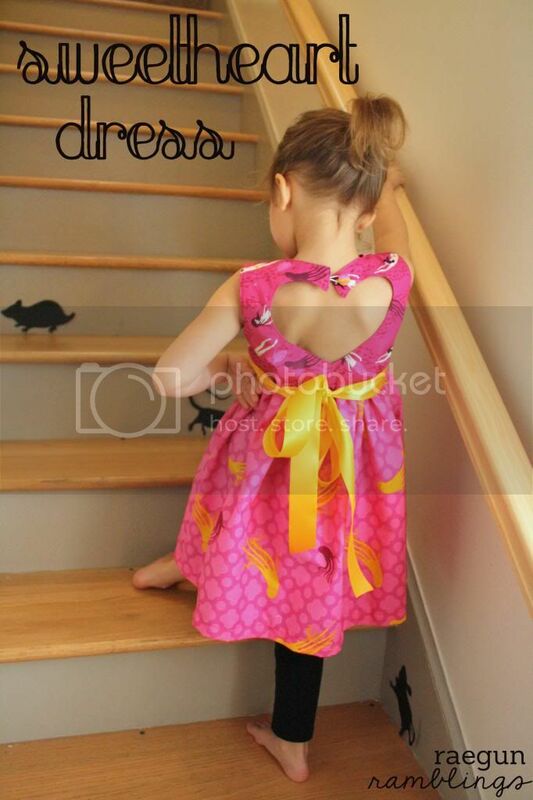 Love the fabric and the little princess!Thanks so much for sharing.Would love to have you visit me sometime. Thanks so much for sharing! 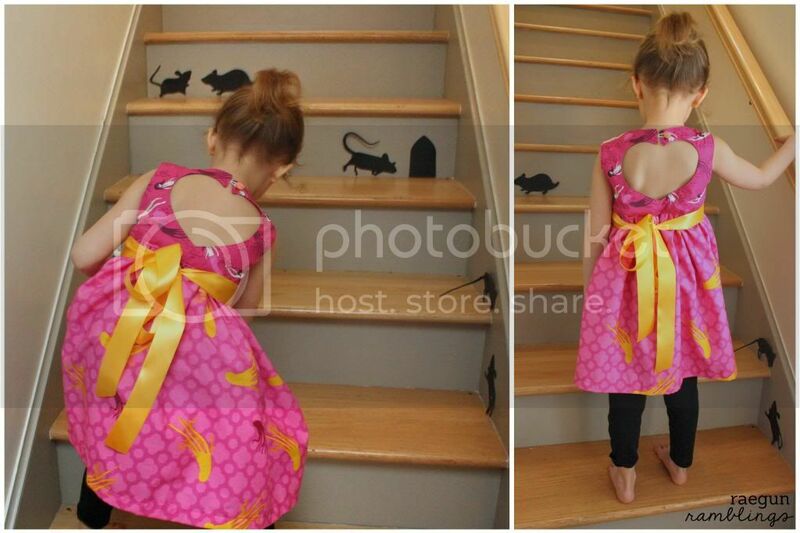 This is so cute and I know my little girl would love it! Come on over and visit us sometime. We have a great giveaway going on right now for a Cricut Mini Prize Package. So cute! That fabric is divine! So Adorable! Thank you for showing me how to do this! I’m in LOVE with the dress Marissa!!! This is just darling!!! Love it! Thanks for sharing it at For the Kids Fridays at http://SunScholars.com. I am Featuring YOU at the next link party! Yippee!!! Thanks so much for linking up at my link party last Friday! I think this dress just turned out so cute! I wanted to let you know that I am going to feature you tomorrow on my blog! I’d love for you to stop by and grab a button off my sidebar if you’d like!